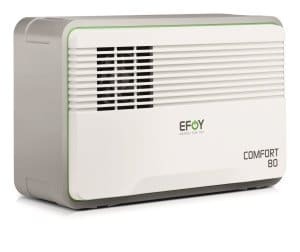 The 40W EFOY Comfort 80 Fuel Cell Can be used all year round. 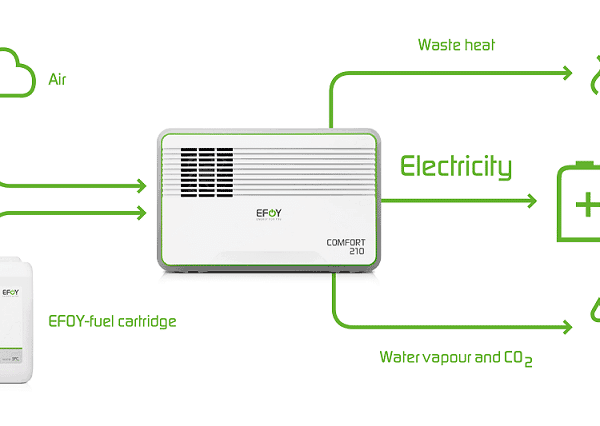 With the EFOY COMFORT, you have a reliable electricity supply when you are on the road or at sea. Whether you are under a shady tree or in a lonely cove. Irrespective of the weather and all year round – even at sub-zero temperatures! The 40W EFOY Comfort 80 Fuel Cell charges the on-board battery fully automatically. Your EFOY COMFORT supplies electricity as soon as all connections are properly made. All you have to do is to make sure that fuel is always supplied. You do not even need to clean or maintain the EFOY COMFORT. It does not get any more convenient than this! 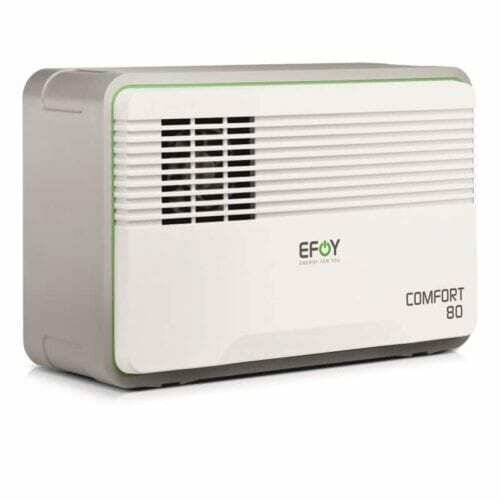 Weighing just 8 kg, the 40W EFOY Comfort 80 Fuel Cell is extremely lightweight. Whether it is in the rear storage compartment, the side compartment or under the seats, your EFOY dealer will always help you find the right place for your EFOY COMFORT. It is so easy thanks to the compact design and low weight. Many mobile home manufacturers already supply the EFOY COMFORT from the factory. Look for vehicles with EFOY Inside and EFOY Ready symbols.